And it’s caused me to wonder: Are there too many superhero related shows? Note, I don’t mean comics related shows. Comics is a medium, superhero is a genre. The Walking Dead tv show is based on a comic book, but it is clearly set in a post-apocalyptic universe. Just as Hollywood has been mining books for inspiration in creating a myriad of tv shows and movies, them looking to comics is mostly a byproduct of realizing that there were TONS of ideas to potentially use just sitting there, being ignored because they were in “Funny Books”. No, what I’m talking about is whether or not we’ve reached a saturation point with these superhero shows? Yes, somewhere lost in Space/Time is a 12-year-old John plotting his future self’s demise for even thinking such thoughts (much less putting them out into the universe in this way). I know there are plenty of people out there who reached their own fill of such things probably as soon as the first show hit the air. I’m not one of those people. I’m someone who maybe even feels a little obligated to at least give these shows a shot. I haven’t been reading comics for 30 years just to stop bothering with them in a new medium. 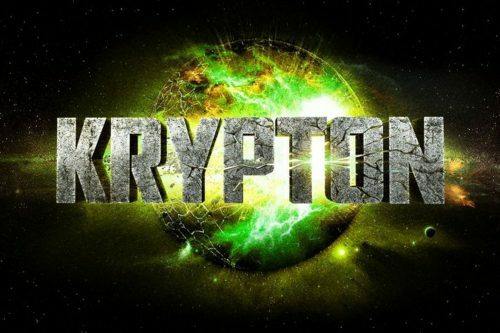 And now Krypton (and, just remembered, soon enough there will be Cloak and Dagger). That’s 18 shows. 8 DC Universe and 10 Marvel Universe (to be fair there are some FOX ones mixed in on this side). Some are released in 10 or 13 episode chunks and others get 20 or so episodes. But either way, I look at the build-up of these shows on my DVR… of the unwatched Netflix titles… and wonder how in the world to keep up with this many. It becomes a job in and of itself. You get a little behind on one series and it suddenly impacts the whole line of shows. 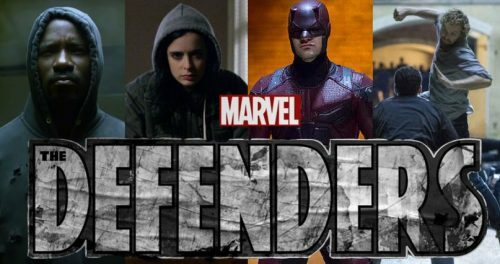 We’re just now beginning Daredevil Season 2, which means we have about 60+ episodes before we could even think about beginning Jessica Jones Season 2 (which came out about 2 weeks ago at this point). We’re probably about 40 episodes behind of the various DC shows with at least 4 new episodes every week. Look, I want good shows to watch. And obviously I’m somewhat partial to this genre, but does there come a point where you’ve flooded things so that it all begins to blend together. I’m in that place where it has gone beyond an embarrassment of riches. When we had no shows and Arrow debuted, it was a big deal. And when Daredevil showed up on Netflix, we gobbled it up. But if I have this many to potentially watch, and they all tie together in some way – why do I need a Krypton show? If I’m already committing 5 hours a week to the CW line-up, and the 13 hours every 3 or 4 months to the Netflix shows… why bother with a new show? Why not wait until one phases out? Eventually, Arrow will finish its story and then you can launch something to “replace” its slot. Right? When you are getting a constant influx of something, how can you long for it? When Smallville was the only superhero show on tv, it was appointment television. We bought the seasons on DVD. It was the only influx of the genre we were getting at the time (in that deadlands time between Batman & Robin and Batman Begins). We’ve gone from drought to an overabundance in less than 20 years. When is it no longer “special”? Tagged dc shows, John McGuire, krypton, marvel shows.